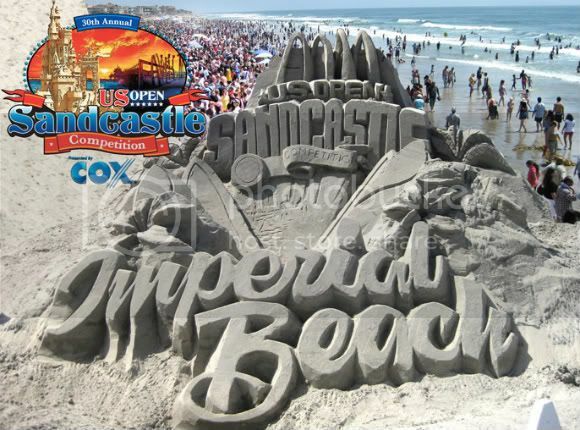 "Cox Communications is proud to be the presenting sponsor of the 30th annual US Open of Sandcastle Competition to be held on August 7th – 8th in Imperial Beach in 2010. The US Open Sandcastle Competition two-day event showcases some incredible sand sculptures. But the competition includes far more than the sand sculptures. Entertainment takes place throughout the weekend and includes children's rides, a parade through the streets, live music arts and crafts market and numerous food stalls. There's a special Kids-N-Kastles competition on the Saturday afternoon and the day ends with a fireworks display. The serious business of the US Open Sandcastle Competition takes place on the Sunday where sculptors compete for cash prizes. Bring the entire family and enjoy the fun."